Self driving holidays from the UK to France are highly recommended for experienced tourists. The open road provides easy access to almost any village in the UK while France is well known for their tourist-friendly settings anywhere in the country. The car hire options are almost unlimited in London so you can get the ideal vehicle for travelling from country to country. From London, tourists can choose any city and village they want to visit. 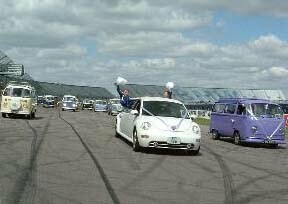 However, the most popular driving destinations are Cornwall, Wales and Cumbria. These areas are well known for their picturesque settings and amazing accommodation. There are two options for car travellers to get to France. The first option is by ferry. The second option is through Eurotunnel where your vehicle is taken in the train and you enjoy a short ride to France. In both cases, be sure to bring proper documentation with you for easy entrance to France. The best way to enjoy the road in France is to pick a theme holiday. You can choose to go on a wine tour, cheese, beach tour or just enjoying the surroundings of every town in France. With a theme, you can easily establish a route and learn more about the country at your own pace. 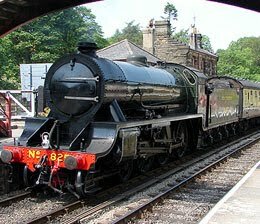 The North Yorkshire Moors Railway (NYMR) is one of the oldest operating railways in the UK. It is considered a “heritage railway” because it has operated for more than 100 years and the trains that operate through these railways are sometimes powered by traditional diesel. Steam engine trains are also used, providing a taste of the old railway experience. The NYMR is not just a regular historical railway. It is 29 kilometres (18 miles) long and has 5-stops with one optional stop-over based on the traveller's request. The train goes through the New York Moors or more specifically from Whitby to Pickering. The railway was first used in 1836 and although revisions were made on the route, the railway is still operational from April to October. There are also occasions that the railway would is in use even in winter. Tourists will surely enjoy the NYMR not only because of its historical setting but also because of the amenities provided. Families can board the train and dine there. There are also special rooms for those who want a homely atmosphere. Because of the additional amenities and comfort, the railway became one of the most popular attractions in the past few years. To fully enjoy this historic train, it’s highly recommended to go for “Day Rover” option. This will allow you to be on the train for one day on various routes. Families will have bigger discounts and you can rent a cottage in the area, for a relaxing break after your train journey. Everyone wants to have a nice, long holiday to relax and enjoy the sunshine but many holidays fall short of expectations because of the budget problems. The idea of having a nice and relaxing time without thinking of spending too much has been answered so many times by Mosaic Holidays. They are an independent travel company that offers customised itineraries and tailor made holidays making sure the tourists have a nice time. 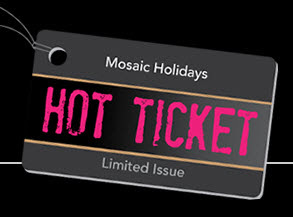 Mosaic Holidays have made their travel deals even better through their Hot Tickets offer. This allows the holidaymaker to enjoy additional savings. Mosaic Holidays create a specific itinerary for different destinations around the world and they offer discounts through their Hot Tickets. Through this offer, tourists can extend their holidays at no additional costs as they receive extra nights free or have free airport transfer. The benefits of Hot Tickets are: longer holidays and less money spent on luxury hotels in Turkey, North Cyprus, Egypt, Maldives or Sri Lanka. 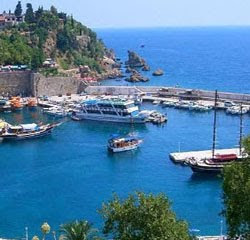 Antalya is a picturesque city located in the southwestern region of Turkey. One of the most popular tourist attractions in the world, it is truly remarkable because of its amazing historical structures and natural beauty. It’s a city that doesn’t just feature beaches but also impressive structures that tell of its interesting past. Reaching Antalya is relatively easy - the Antalya Airport is the destination of various international flights from different countries in Europe. Land travel is also a possibility through train. While rare, there’s also a boat that comes from Greece but tourists have to go through Marmaris and board a train to Antalya. Once you reach Antalya, here are the two things you should consider doing to get the most out of the city. First, proceed to the city centre. Practically everything you need to know about Antalya is there. 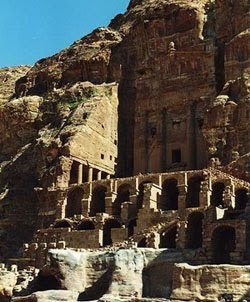 The historic structures such as the ancient Clock Tower, Hadrian's Gate and a couple of minarets can’t be missed. Secondly, get in a tram to get a view of the entire city. Although the tram only goes through the eastern part of the city and runs for 30 minutes – that amount of time will give you one of the best views over Antalya. After visiting the city take your time and taste the local cuisine: piyaz, sis kofte or tandir kebap. 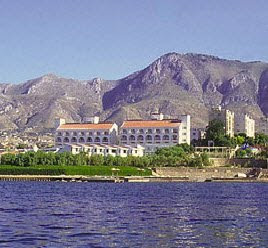 The natural setting of Antalya is unique because it features beaches, lakes, falls and forests. Lara and Konyaalti beaches are only some of the places you can enjoy. Located north of Antalya is Upper Düden Waterfalls. A trip no more than 20 minutes will get you to this beautiful waterfall. County Waterford, known locally as “The Deise” is a picturesque region in Ireland with a rich history. The county has two mountain ranges: the Comeragh Mountains and Knockmealdown Mountains and over 30 beaches and beautiful volcanic coastline. The Copper Coast has been designated as a UNESCO Geopark because of its geological importance. The administrative city of county Waterford is Dungarvan, situated on the mouth of Colligan River. The attractions of Dungarvan: The Devonshire Bridge which links Abbeyside (the eastern suburb of the town) with Dungarvan, Dungravan Town Hall Theatre and Museum or Davitt’s Quay. Only 10 miles from Dungarvan there is the small village of Clashmore, the home of a 19th century distillery producing 20,000 gallons of whiskey annually. What is unique about this distillery is its chimney spanning the river which propelled the mill. Other attractions in the area are a wide range of golf courses, the Perks Youghal amusement centre and lovely beaches. For accommodation in the area, opt for Caitlin’s Cottage in the little village of Clashmore. The Easter is just around the corner and now it is time to book your spring getaway. A perfect spring destination is North Cyprus, the weather in March-April is nice but during the summer it becomes hot and dry. A beautiful place to visit in North Cyprus is Kyrenia - its main attraction is the Kyrenia Castle, dating back to Byzantine times. Within the castle you will find an icon museum and a church. Bellapais Abbey in the village of Bellapais was built in the 13th century and it has a beautiful inner court with a colourful garden (perfect for your Easter holiday pictures). The Turtle Beach is a huge sandy beach situated near Kyrenia and it is a protected area due to the Loggerhead and Leatherback Turtles nesting along this beach. Apart for historic sites you will find in North Cyprus many modern boutique hotels and all inclusive resorts with excellent facilities, swimming pools, children's club, gym and restaurants where you can taste local cuisine and drinks and listen to traditional music. A lot of reasons to visit North Cyprus this spring. Jacobean gardens, heritage villages and 17th century old cathedral are the attraction of the small village of Lismore in County Waterford, Ireland. For the more active visitors, Lismore has a horseriding centre and a golf course or cycling routes and for foodies out there the place has many eateries, local markets and pubs. The city of Waterford is the home of a famous crystal factory so it is worth visiting it as well. The Granary is a pet-friendly cottage in Lismore on a working sheep and cattle farm where visitors can make friends with Rosie the donkey. The Granary accommodates four people (plus pets) who want to spend a few days in this beautiful place. Cali is considered one of the most prosperous cities in Colombia. Located southwest of the country, the city is well known for its agricultural products: sugar and coffee industry has helped the city prosper. The city is also known for its rich heritage which is not based only on the colonial period where beautiful churches where built in the city. Pre-Colombian architecture can be found in Parque Arqueológico De San Augustín as well as Parque Arqueológico De Tierradentro. 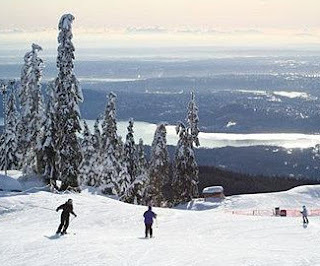 Because of the economic standing of Cali, reaching the city is very easy for tourists. The city has an international airport and road network from various cities in the Colombia is also available. Tourists from other cities can easily reach the city by bus or through domestic flights. 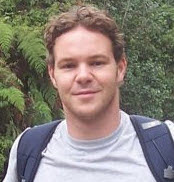 The city was recently featured in the news because of Daniel Eley, a volunteer teacher in Cali working with street children who recently had an accident which left him with serious spinal injuries. His activities for human rights in Colombia and the rest of South America are praised by many which is why support for medical assistance and rehabilitation was made everywhere. Groups set up donation channels as they try to raise £90,000 which will be used to airlift to Daniel Eley to England for medication and rehabilitation. If you want to support this noble cause please join the Facebook group HELP DAN. 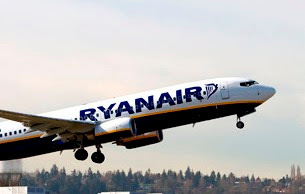 From the start of the new year, the latest changes in Ryanair payment policy have immediately provoked more criticisim and blasts, which seem to have become a common reaction towards the Irish low cost carrier. Those who have found out that Ryanair used to apply to all credit cards except Visa Electron a £5 handling fee, per person per flight, only right after proceeding their payment because the total end price would not clearly appear at the end of the payment transaction, might have already raised complaints about the unexplicable £5 (given the fact that standard debit cards processing fees are usually £1, according to the UK Cards Association). But those who have learned from their mistake and now pop out their Visa Electron cards, confidently thinking they are avoiding extra charges, have all the best interest to know that this does not apply anymore, since Ryanair have made new arrangements and have switched to MasterCard Prepaid as the only method payment without processing fees surcharges. Of course, Ryanair was prompt to declare this is actually for the customers’ benefit as MasterCard Prepaid cards are widely available. Leaving this questionable matter on the side, what is pretty straitforward to see is that the low-cost company will be able to continue advertising their cheapest fares excluding the handling fees when, in reality, most of the passengers buying tickets will see a whole different story.